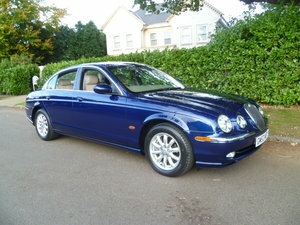 CRUISE SUPERB LUXURY MOTORING DRIVES SUPERB BE QUICK!!! Electric leather memory seats, Remote Central Locking, Electric Windows, Electric Mirrors, ABS, Traction Control, Climate Control, Power Steering, Drivers Airbag, Passenger Airbag, Side Airbags, Cruise Control, Alarm, Immobiliser, Full Leather Interior,18inch Alloy Wheels with as new Dunlop Avon tyres , + More!!!! 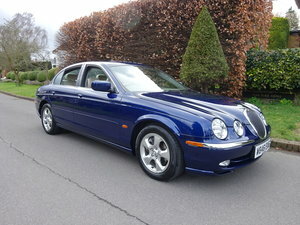 Welcome to my eBay sale of my metallic blue Jaguar S type . 2.7 v6 turbo diesel with an automatic gearbox. It has only covered 105k miles from new and has been serviced extensively . It comes with both keys as well.The car is lovely inside and out and drives fantastically smooth. It has power assisted steering, ABS brakes with traction control, drivers and passengers airbags (SRS system), side impact protection system, dual zone climate control. Tilt adjustable leather steering wheel, which has the cruise control and stereo fingertip controls on. It has a superb sound system. The dashboard and centre console are finished with a lovely wood trim. The centre console comprises a slide and tilt armrest complete with cup holders and 12v socket. All windows are electric and colour coded mirrors are electronically controlled, heated and bi-fold. Both front and rear windscreens are electric heated for quick defrosting . The seats are full light grey leather and front are electronically controlled with memory position whilst the rears have manual headrests and centre armrest. It has rear parking sensors in the colour coded bumpers. Alloy wheels with excellent tyres all round. It's MOT'd until 5th november 2019. 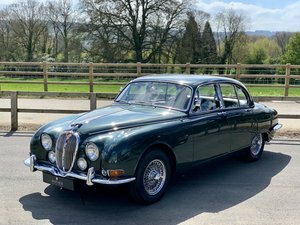 The car is a true motorway cruiser which eats up the miles in comfort. First to see will buy. 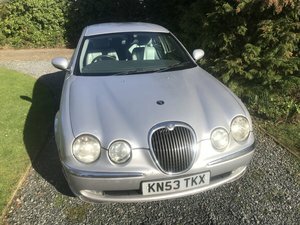 Late 2005, Jaguar S type 2.7td auto, Metallic ble, full service history, MOT, electric windows, mirrors, walnut dash, grey leather, SRS airbag system, Tilt adjust steering, ABS, Side impact protection, Traction control, Aircon, Park sensors, Heated screens, electric seats, Radio/Cd and multi changer. Alloys.